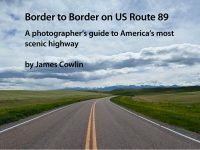 I have received several phone calls and emails in the last couple of weeks asking me about driving conditions on US Route 89. These inquiries have come from as close as Prescott, Arizona, and as far away as Brisbane, Australia. I am pretty knowledgeable about the various sections of 89, but I found myself struggling to provide information about whether a specific section was likely to be snow covered or clear. All five of the states through which Highway 89 passes—Montana, Wyoming, Idaho, Utah and Arizona—are part of the 511 telephone travel information system. The system is simple to use. When you are in a state, dial 5-1-1 from any phone. 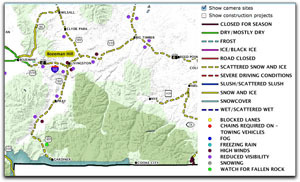 You will be connected to recorded information on current road conditions including construction delays and weather related problems in that state. You can navigate these systems using voice commands or the dial pad. The recordings are updated frequently so you will get the most current information. For more about the 511 system, go to the Federal Highway Administration website. As part of the 511 Traveler Information system, each state maintains a website and a telephone number for calls from outside of the state. 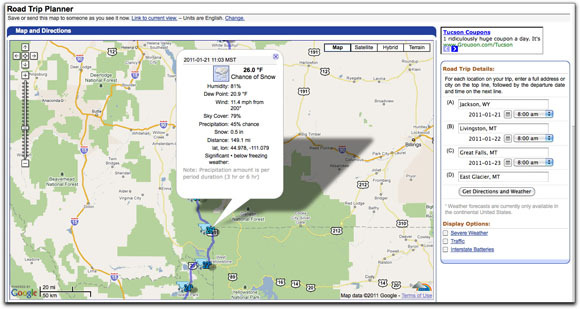 This website has all the information a traveler could need to plan for driving conditions. There is a very cool interactive map that allows you to specify your travel route between cities which then indicates the road and weather conditions. The Wyoming website provides information by city or by route. It is not as detailed as some other sites, but it gets the job done. 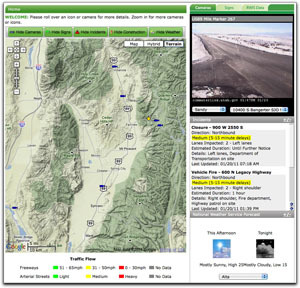 While only 40 miles of US 89 cuts across the southeastern corner of Idaho, this website provides current information two ways: Streamlined for slow internet connections and older browsers and Full Featured for fast broadband connections and current browsers. The Utah Commuter Link website has an interactive map on the home page that gets you quickly to the information you need. You can added various symbols to the map such as weather and incidents. The map also shows all of the road cameras. Quick on a camera and the view appears in a window on the page so you get an instant view of actual road conditions. Arizona’s website is well organized and easy to navigate. There is a scrolling box on the home page with High Impact Traffic Alerts. Click to expand the listing for details, then click Go To Map to see the location. For detailed weather information, I prefer Weather Underground. Search for a city by name or zip code for a five day forecast. One cool feature, is the new road trip planner. You can input up to four cities with the dates and times of your trip. Hit the Get Directions and Weather button and your trip is mapped out complete with weather and temperatures along the route. When you click on a weather symbol, a box pops with details such as chance of precipitation and significant weather. Weather Alerts are also highlighted in red in the driving directions. You can’t get more customized than that. Of course, you’ll get the best forecast from this planner the closer you are to the start of your trip. If your trip includes visiting one or more of the National Parks and Monuments along US 89, you’ll find weather and road condition information on each of the parks websites. These sites will give you specific road closures and restrictions within the park. Also check the Plan Your Visit section for year round information. You will find links to the parks and monuments websites on the 89 Road Trip Links page. 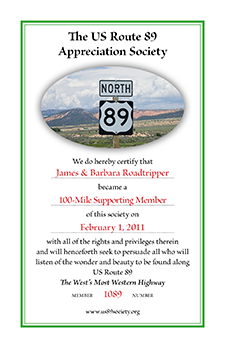 I hope this makes your road trip planning easier and that you have a safe and enjoyable journey on US Route 89. We got up this morning.. It is Christmas Day.. We plan to travel to our sons place, they have a new baby. It snowed during the night so I called 511 for road conditions. What I got was a recording made last night before the storm…. What good is that? Hi, my family and I will be traveling to Page, AZ on March 22/23rd, 2013. Google maps tells us to take 15 to 89 – can you tell me if this is generally a clear route during late march and if this is the best route to Page from the salt lake area… traveling from Oregon, no familiar with elevations and routes in UT/AZ. I understand 89 is closed south of page due to slide in road… best alternate route south toward phoenix? Thanks for any information you can provide. The best advice I can give is to use the Wunderground road trip planner cited above. That will give you an accurate weather forecast for your route up to seven days in advance. In general, winter weather in south central Utah can be snowy and cold but US 89 is a major highway and will be cleared quickly. The detour around the road closure between Page and Flagstaff will be clearly marked as you leave Page. It adds 49 miles to the trip so allow an extra hour of driving time. As an alternative, if you do not need to go to Page, you can take US Route 89A from Kanab, Utah, which connects with US 89 south of the closure. See the Bitter Springs to Kanab Road Trip Guide on our website for a description of this highway. 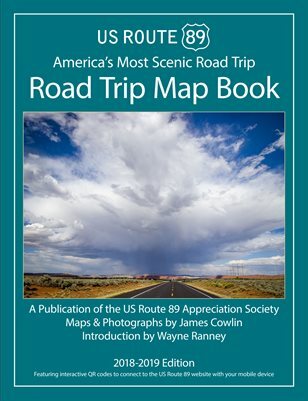 The Road Trip Guides will also help you plan your trip through central Utah. Have a safe and enjoyable trip. My family and I will be traveling from Boise, ID to Mesa, AZ on March 22. We could either go through Nevada and over the Hoover Dam or take the interstate threough Utah and cut down 89 to Flagstaff. Please advice on road conditions, delays, etc.especially the progress on the road collapse on Hwy 89. US Route 89 between Page and Bitter Springs where US 89A intersects with US 89 will be closed for many more months. From Kanab, you can take 89A to get to Flagstaff or take the much longer detour route around the closure. If you decide to take 89A, check the driving conditions using the links above. I will also post news of the progress on repairing the highway on our Facebook page. Hi, Am traveling from Grand Canyon south rim to Kanab. Earlier I was planning to take 64 and then 89 all the way.. thanks to the information, I realized that I have to take a detour at Tuba city due to closure of 89 at the junction of 89A. I am traveling with Kids and not exactly an experienced driver in winter conditions.. hence, want to be on the relatively safer roads.. could you please advise if in next couple days is it a fairly safe to drive from Grand Canyon south rim to Kanab via Tuba city detour? The weather forcast for northern Arizona for the next five days is clear with highs in the low 60s. You should have no trouble driving from the Grand Canyon south rim to Kanab via US 89A which is much shorter than driving the detour around the closed section of US 89 to Page. Perhaps the best source of information would be to ask a Park Ranger at the south rim about driving conditions on US 89A. Also use the link to Wunderground road trip planner above for an accurate forcast for the specific time you are making the drive. On the other hand taking the detour route is a pretty drive and if you are not in a hurry, you will enjoy that drive. Taking US 89 across southern Utah is worth the extra time to get there. Check out my post on the Rimrock Hoodoos for a possible stop along the way. Have a safe and enjoyable trip. Traveling from Mesa AZ to SLC tomorrow 22nd. Wondering if 89A Alternate through Fredonia has snow?? Checked ADOT and is has no mention of it. Would chains be required? btw, thanks for this info… this is much easier than checking ADOT! The weather forcast for February 22nd at around noon is sunny with temperatures in the 40s. With US 89A being used as a detour because of the closure of US 89, I imagine that ADOT will make sure that 89A is clear. You can expect a fair amount of traffic including trucks which could make it a slow trip between Bitter Springs and Kanab. If you can, please add a comment here so other drivers will benefit from your experience. You can travel Highway 89A to get to Kanab, UT. Zion’s National Park etc. If wanting to get to Page, Arizona you will need to take State Route 160 to state route 98 and drop into Page. These are the only options at this time. Thanks for posting this information. I put it on our Facebook page this morning. You can find out the latest information by going to the ADOT website listed above or by calling 511. Also, be aware the 89A climbs to 8,000 feet at Jacob Lake so check for road conditions before you head to or from Kanab. 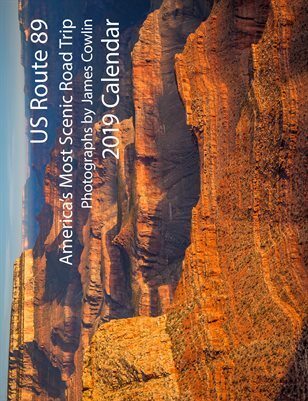 Will be at the Grand Canyon – South Rim -late this month and was thinking about visiting Zion… any thoughts about the road conditions for late January? Zion can be cold and wet in the winter. Typically, snow does not last very long at lower elevations and the roads are plowed after a snow fall. Check the park website for current conditions before you make the trek from Grand Canyon. Also check the Arizona and Utah websites listed above for any road closures or hazardous conditions. Use the Wundergraund road trip planner for forecasts up to seven days before your departure date. Winter weather in northern Arizona and southern Utah is very unpredictable but the highways are usually cleared quickly except during severe weather events. The drive between Grand Canyon and Zion is one of the prettiest on US 89 and I’m sure you will enjoy it. My wife and I will be making the drive from Kanab UT to the Grand Canyon on April 2. Should we be concerned with snow conditions ? I am assuming that you are driving to the South Rim of the Grand Canyon, since the North Rim will be closed until the middle of May. I recommend staying on US 89 across southern Utah to Page, rather that US 89A through Arizona. 89A climbs over the higher elevation of the Kaibab Plateau. From Page, continue south on 89 to AZ 64 at Cameron and then on to the South Rim. In addition to the sources cited in this blog post, you can check current weather conditions on the Grand Canyon National Park website. Also, the Grand Canyon Association has weather forecasts for various locations in the canyon on its website. Having said all that, early April is one of our favorite times to visit the Canyon as it awakes from winter. You may find wildflowers in bloom and the weather can be quite nice during the day, cooling off at night. The light at sunrise and sunset is bedutiful for taking photographs. And the visitor services are not as crowded as they will be in the summer. Speaking of photography, be sure to visit the Kolb Studio where the current exhibit is a retrospective of Emery and Elsworth Kolbs’ photography from the early 20th century. They were among the first to photograph many places in the Canyon and set the standard for those of us who have followed in their foot steps.